We're a little over a week away from Rebellion bringing back the Rogue Trooper with Rogue Trooper Redux. In anticipation of its impending release, the UK developer has put a new trailer that covers all the basics and, more importantly, discusses the online co-op modes. Ever since the announcement earlier this year that they would be bringing the game into the modern era, we've been waiting to hear something, anything, about the co-op mode. Heck, at the time of the announcement, we could only assume that it would have the same four player co-op that was a part of the original. While that did get confirmed, eventually, this "101" trailer is the first time we've actually seen any of it. So please enjoy all 30 seconds of it starting around the 4:41 mark. 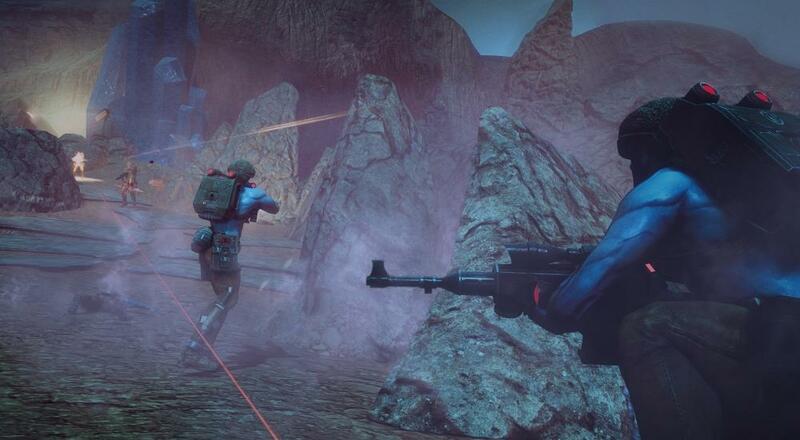 Rogue Trooper Redux is out on October 17 for the Xbox One, PlayStation 4, PC, and Nintendo Switch (NA only, other territories at a later date). It will feature two co-op modes - Progressive and Stronghold - that support up to four players online. Page created in 0.8253 seconds.